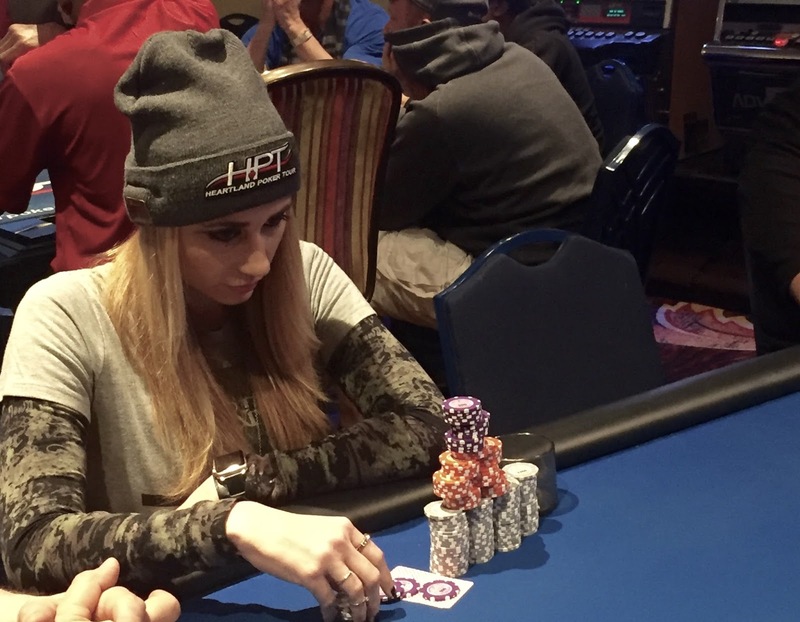 Early in @HPTPoker @Belterra Day 2 we see Vanessa Rousso and Hobie Atkins mixing it up, with Rousso betting 15,000 on a 4♦️ 7♠️ J♦️ flop and Atkins making the call. Atkins leads out for 20,000 on the A♥️ turn, and Rousso doesn't look as though she believes that bet very much, so she makes the call. Both players check the 5♣️ river. Rousso shows J-8, Atkins shows his cards only to Rousso, and mucks.